Of course, those interested in opening a cryptocurrency consulting, or launching their own cryptocurrency still need to build a robust web presence, and Themeforest’s Crypterio theme is tailor made for just this purpose. What might you find with this cryptocurrency WordPress theme? What makes it ideal as a bitcoin WordPress theme, or as an ICO consulting theme? You’ll notice immediately that Crypterio does more than just give you the ability to get in on the interest in cryptocurrencies. It offers three different layouts, each of which is designed for a different purpose. For instance, you can create an ICO landing page for your specific project, or you can create a full-blown website to advertise your services as an ICO advisor. Of course, you can also use this cryptocurrency WordPress theme to create a website that showcases your talents as a blockchain consulting expert. The ICO consulting theme allows you to highlight your skills, achievements, attributes, accolades, and even current partners to attract new clients interested in exploring the cryptocurrency space. The blockchain consulting theme lets you focus on things beyond tokens and coins, on the fabric that supports cryptocurrency in the first place. Finally, the initial coin offering (ICO) theme is a one-page website designed to attract potential investors into your ICO, while providing them with all the information necessary to make an informed decision with their money. One of the most interesting features of this powerful WordPress theme is the fact that it is tailor made for all things cryptocurrency related. For instance, whether you wanted to create an ICO consultancy, or become a cryptocurrency broker, you can use the built-in features to keep your audience informed right through the main page. 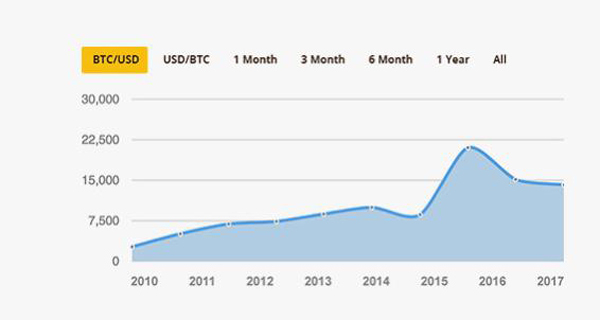 The theme features a built-in live exchange rates graph, which can be customized with a number of different templates, chart formats, and layout options. Want something a bit more? 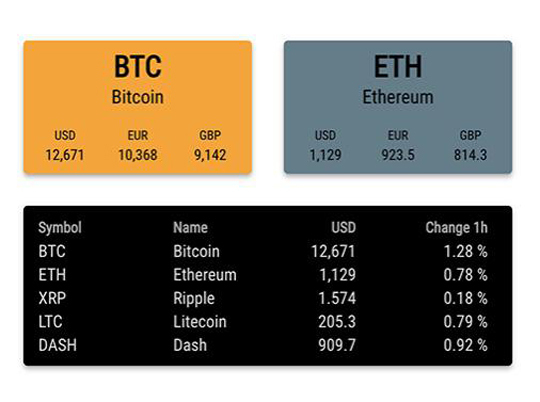 Add cryptocurrency widgets that show the performance and value of specific currencies easily. Choose the specific currencies you want to contrast, or show the highest performing options on the market if you prefer. One of the most important considerations when trading cryptocurrencies is that you must be able to convert from one to the other quickly, easily and accurately. Any consultancy that cannot provide clients with the means to do this will find their success stymied. 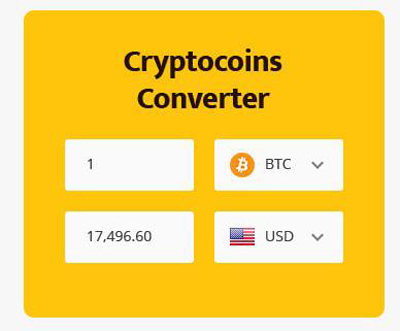 Thankfully, this ICO consulting theme offers a powerful yet accurate cryptocurrency converter baked right into the original code. Thinking about launching your own cryptocurrency coin? It has become an incredibly popular way to build funds for your startup, and is even being used by companies that don’t need to bootstrap development. Of course, as with any launch, you need to build excitement beforehand while keeping potential investors in the know. This ICO consulting theme comes with a customizable ICO launch countdown timer. 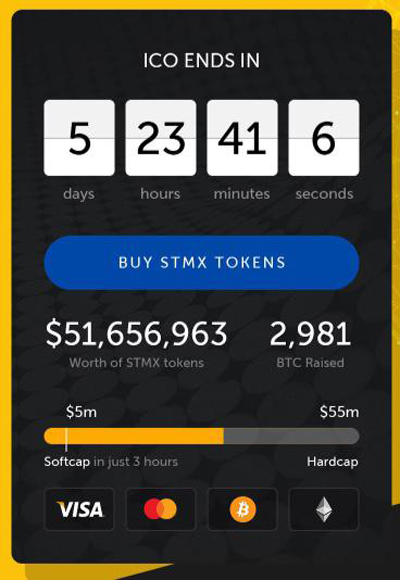 Tell potential investors how much time they have before their window closes, give them an option to buy tokens immediately, show the amount of money raised, and display purchase options easily, all within a single interface. In addition to the features and functionality we’ve outlined above, you’ll find a number of others built into this powerful bitcoin WordPress theme. Several of these are crypto-specific, and are not found with any other themes on the market. Virtual Coin Widgets – This is an example of a feature found nowhere else; you’ll find 10 different widgets that can work with thousands of different cryptocurrencies. Exchange rates are updated five times an hour. Note that this feature is included with the theme, and does not require an additional purchase. WPBakery Page Builder – This feature is also included with this cryptocurrency WordPress theme, and delivers a customized Virtual Composer. The builder has been changed so that available crypto-modules are easily accessible and highly visible, without sacrificing access to or customization of other modules. Slider Revolution – This feature is built into the theme and comes at no extra cost; it’s designed to make it simple and easy to create dramatic slideshows, and control, edit and manipulate the images within your slideshows. In addition to the cryptocurrency specific features outlined above, this robust WordPress theme also offers a number of standard features, as well. For instance, the theme is built with modern SEO in mind, giving you the ability to rank higher in organic SERPs. You will also find advanced theme options built in, such as global settings and changes, global customizations and more, all without the need to delve into the code itself. There’s plenty of support built in for modern typography, as well – you’ll find over 800 Google fonts available to help you get your messaging on point. The custom icon loader allows you to use and display SVG icons, and you have access to unlimited color options to help you customize every aspect of the website to suit your needs and to stand out from the crowd. 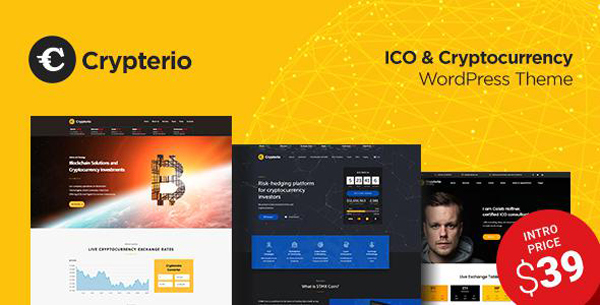 When it’s all said and done, Crypterio is a powerful cryptocurrency WordPress theme that offers immense customization, and the ability to get into the world of blockchain and cryptocurrency quickly and easily. Whether you want to launch your own ICO, start your own ICO consultancy, or deal with blockchain-related projects, there’s a lot of value to be found here.